Air shots out through an annular vent and over an airfoil, using inducement (the same property that produces lift in aeroplanes) to create a breeze. The Supersonic's three attachments adhere magnetically. The Dyson supersonic hairdryer is finally in South Africa. The hairdryer that’s known for never getting hot was said to have been tested on 1 625 km of real human hair – 1 625 km of Caucasian and Asian hair, that is. How would it fare when put to the test on my Afro-textured hair? settings, three airflow settings as well as a cold shot. 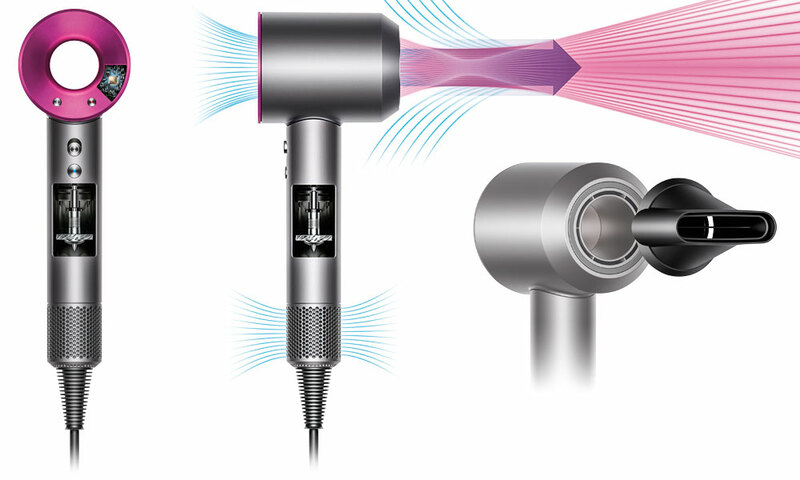 The Dyson uses a fast but focused airflow and intelligently controls the temperature to help protect hair from extreme heat damage. A glass bead thermistor measures the temperature 20 times a second and transmits this data to a microprocessor, which controls the heating element. The heat setting is great for the textures the product was tested on, but Afro-textured hair requires more heat and a lower wind setting. Although any possibility of heat damage has been eliminated, it took longer for me to dry my hair on the highest heat setting than it would on any conventional hairdryer. associated with hairdryers is drastically minimised. 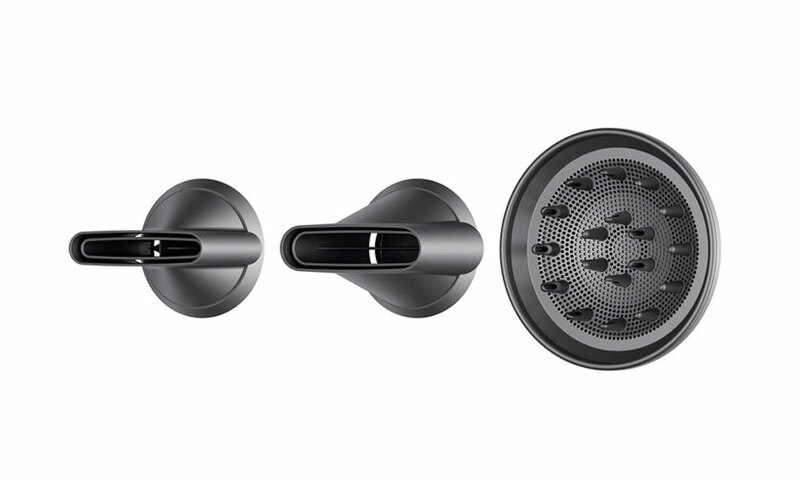 By using a motor impeller with 13 blades instead of the usual 11, Dyson engineers pushed one tone within the motor to a sound frequency beyond the audible range for humans. than in the head. That’s great for balance and ease of use. But there’s another benefit: in its location in the handle, it’s surrounded by acoustic silencers to further reduce sound. The three attachments, which include a diffuser, easily snap on and off and always remain cool to the touch. Heat shield technology ensures that the hot air is contained within a sandwich of cold air, meaning that the surfaces of the attachments are not affected by heat. The Dyson retails for a hefty R6 499. That’s an amount that I can’t see myself spending on a hairdryer, let alone one that takes more than 15 minutes to dry my hair. 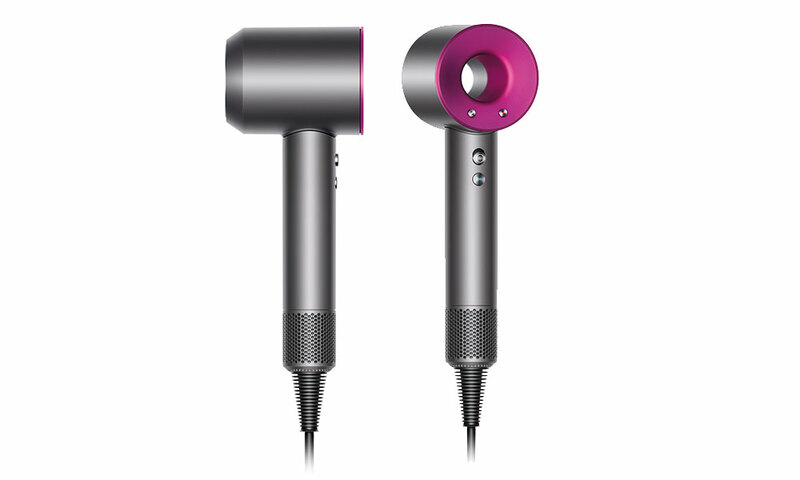 However, given its lack of noise and striking design, the Dyson does make an excellent product for professional hairstylists.